Kuniaki Hiramatsu, the third owner of the Hiramatsu Shunshoen, has honed his bonsai skills since his youth as future successor-owner of the famous bonsai garden. He frequently puts his works on display at national exhibitions. He has had many fans across the country. As a veteran bonsai artist with a career spanning 50 years, Kuniaki has long supported bonsai culture in Takamatsu's Kokubunji area, one of the city's bonsai production centers, together with his younger brother Kiyoshi. A smiling Koji Hiramatsu poses in front of his product. Koji Hiramatsu produces a wide range of products from dynamic and large-sized bonsai to palm-sized shohin small bonsai pieces. He puts his focus on shohin bonsai said to have been originated by Yorinaga Matsudaira (1874-1944), the 12th head of the Matsudaira family, the domain lord family of the Takamatsu clan, or current Kagawa Prefecture, in the Edo Period (1603-1868). Koji began to produce shohin bonsai upon a strong request from a customer. 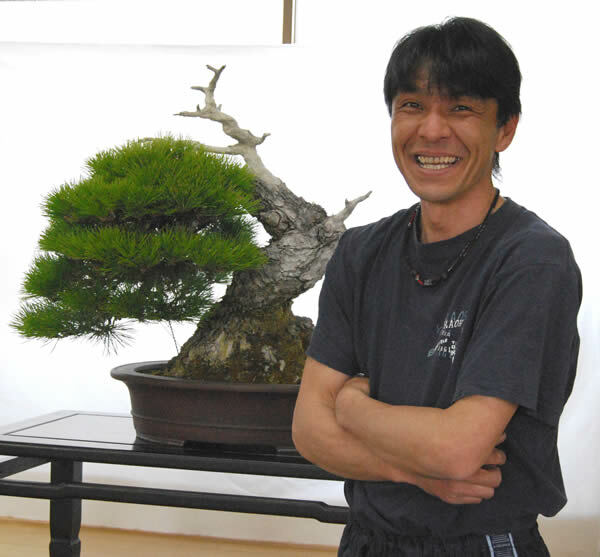 He is currently a bonsai instructor authorized by the All-Japan Shohin-Bonsai Association and also serves as a member of the board at the organization. ''Products of small size are preferred now due to housing conditions and graying of society,'' Koji said. ''The essence of shohin bonsai is that a small one brews the taste of a large tree. Zoki bonsai using deciduous trees and those using fruits and flowers are popular among women who find them cute,'' Koji said. A higher level of growing technique such as wiring is required for small bonsai than ordinary bonsai products. But Koji displays superb techniques to shape up each potted bonsai. ''Shohin'' small bonsai pieces line up on shelves at Hiramatsu Shunshoen. Koji Hiramatsu is busy keeping up his garden's traditions and delivering speeches and lessons at lecture sessions in various places. He has contributed much to succeeding to and passing on the region's bonsai culture. Every year, he gives lessons on bonsai cultivation to third graders at the elementary school where he graduated. 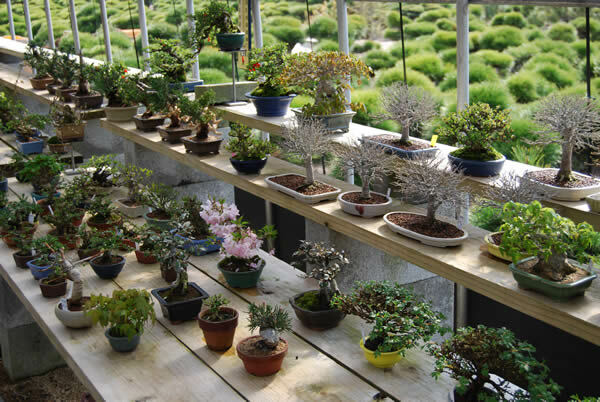 There are vast tracts of bonsai fields and name boards of bonsai gardens along school routes. Children who are growing up in such circumstances are naturally familiar with bonsai and ask him tough questions. ''It's our duty to pass traditional bonsai culture on from our ancestors to the next generation,'' he said.